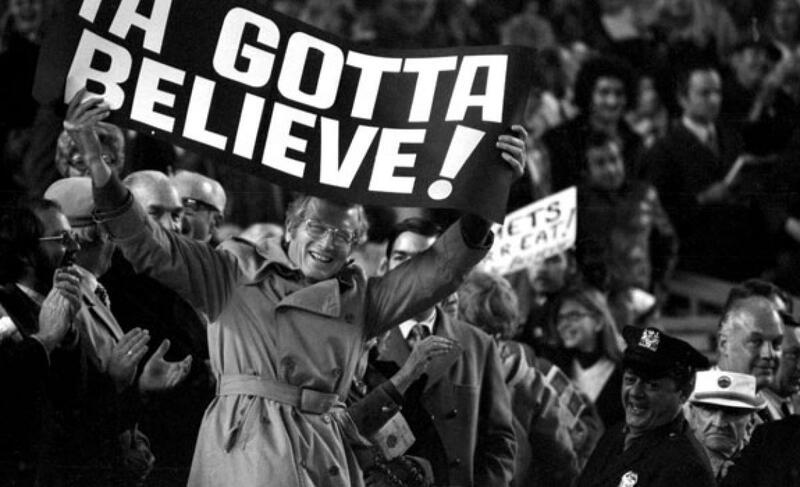 Mets will pitch Harvey in playoffs, spurn hard 180 inning limit | We Gotta Believe! According to Adam Rubin at ESPN, the Mets will not abide by a strict 180 innings cap for Matt Harvey. Earlier today, Jon Heyman reported that Harvey had been given a hard 180 innings limit and that GM Sandy Alderson and agent Scott Boras were in dispute over it. I’m a little torn, but I think Harvey has to pitch in the playoffs. Skipping Harvey a couple more times (in games not against Washington) seems prudent, provided the Mets hold a large lead. But come October, Harvey has to pitch. I have a hard time believing that a doctor would give a hard innings limit absent any other information (how the player feels, velocity, stamina, pitch count, innings under stress, etc.). That being said, 180 innings sounds like the right amount for a soft cap, and while I’m sure the Mets will be careful with Harvey into October, I think the front office is dead-set on not repeating the Stephen Strasburg saga from 2012. They will carefully monitor Harvey’s outings and be ready to pull him or hold him back if necessary. This is their chance, they need to take it, and my guess is Harvey will be fully on board. And even if the Mets are forced to shut Harvey down, a playoff rotation of deGrom, Syndergaard, Matz, and Niese isn’t half bad.